Niantic's Pokémon Go team announced it will be testing a new event it calls Legendary Lunch Hour. The first such event will begin on March 13, between 12:00 PM and 1:00 PM local time. During this time period, Pokémon Go Trainers get to experience a high number of raids. This will truly test the battle skills of the trainers. The idea behind this event is that some trainers have difficulty scheduling their time when an egg pops, as they have to deal with work. 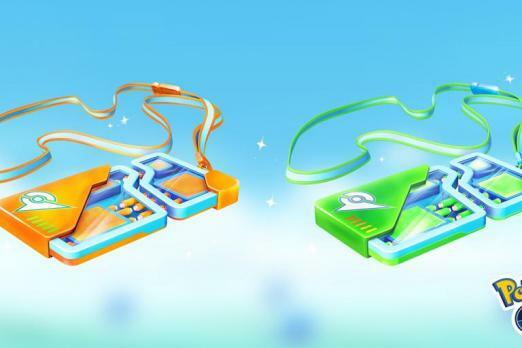 The event gives these trainers a small raiding window during the middle of the day. The future of this event will depend on player engagement, as the first one is simply a trial run. If successful, there is a likelihood Legendary Lunch Hour could become a weekly event. Later this month, Niantic will also be holding another Community Day for Pokémon Go. This event allows trainers to encounter a special Pokémon. This month's community day will be on March 23, and features the grass starter Treecko. Bonuses include three-hour lures and one third egg hatch distance. Released in 2016, Pokémon Go was developed by Niantic as an augmented reality mobile game. By the end of 2016, Pokémon Go had been downloaded at least 500 million times around the world. As of May 2018 it had 147 million active users monthly and by February 2019, reached 1 billion downloads. During its launching, 50 Pokémon species were available. That number has since climbed to more than 460 by 2019. Upon release, Pokémon Go received mixed reviews. Metacritic gave it a 69/100 score. While the experience was praised by many as enjoyable, many of the criticisms were directed at the glaring technical issues. The game has helped some local businesses grow as a result of the higher traffic, but has also gained controversy with players becoming public nuisances and becoming involved in accidents. Pokémon Go has won a number of awards during its launch year that include Best Mobile/Handheld Game and Best Family Game at The Game Awards 2016 and Innovation of the Year by Golden Joystick Awards 2016. It also won Mobile Game of the Year at D.I.C.E. Awards 2016. Recently Pokémon Go was declared the Fan Favorite Mobile Game during the Gamers' Choice Awards 2018. To know more about upcoming events, visit the official Pokémon Go website.